Mad Mimi is a lovely, simple email service that lets you create, send, share, and track email newsletters. "Good but you can get similar free platforms "
Love its simplicity, and believe it or not , it's cool presentation and marketing. It allows me to easily come up w/ promotions ,track them and even repeat. Like the feature of resending in 3 days automatically with another Subject Line. I could potentially find something similar for free. 2. Would like to see more options w/ customizations of the promotions and larger amounts of templates. I use it for basic stuff, not requiring complicated features. I have not been able to compare with other platforms available. Mad Mimi is an easy to use, yet robust email marketing tool. Along with similar tools, the company offers a free plan. 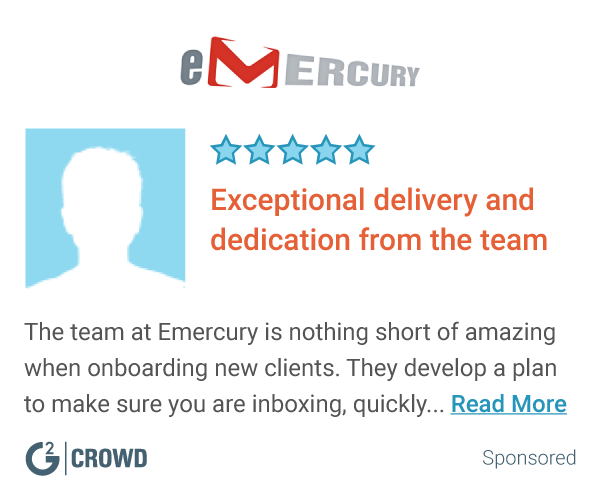 Their latest isn't as good as it used to be, but at around 2500 emails, it becomes a better deal in many ways than Mail Chimp (which is free up to 2,000 contacts, although automation is an extra $10/mo.). On one hand, I like the very simple email design, which helps keep the look consistent. On the other hand, there are few built-in design options. And although Mad Mimi has many sophisticated features, Mail Chimp takes it even further. So if you're planning on using Advanced Segmentation for example, and don't want to switch between providers, you may want to start off with Mail Chimp rather than move your data over. If you're a small business, or just getting started, I highly recommend this tool for its low cost and ease of use. If you're a highly sophisticated email marketer, you may want the extensive capabilities of Mail Chimp or one of the gazillions of other email marketing tools out there. Mad Mimi provides a quick and easy way for a small business to do email marketing. It has most of the features of other email tools, from building a contact list, automating mailings and reporting, to some other pretty sophisticated email marketing capabilities. "Super user-friendly software that packs a punch"
MadMimi's best feature is their pre-made templates. For someone fresh into email marketing, this is an incredible place to start. First of all, it gives you a solid framework to lead you in the right direction, and then you can tweak it based on your individual needs. Secondly, it helps you look professional and like the "real deal" -- there's no fake it till you make it here. You "make it" by using their pre-made templates. The free account left me feeling like I was limited once I had grown my list and needed to send out a higher volume. I wouldn't discourage someone from using this service because of that though. It was the best decision for me when I first started out. I would have liked to do A/B testing with my emails. That's not a deal breaker for many email marketers, and still worth a shot. You're going to love it. Utilize support as much as you can -- it's there for a reason! They want you to have success while using their product. The pre-made templates are FUN. You're going to be able to have 100 email addresses in your list for the free version, so this is an excellent place to start. However, their paid version is one of the better deals when it comes to their competitors. It works for anyone on a budget, without losing functionality. I was able to communicate with my team members and send out announcements, reminders, newsletters, etc. The biggest benefit was knowing who opened and read. Even knowing which email addresses bounced my emails was helpful. The basic (free) version of MadMimi was exactly what I needed at the time I was using this program. For a free user, it was perfect. "Perfect for bloggers or really small business"
It's perfect for people who are starting or don't have the need for custom segmentation or advanced analytics. It does not escalate well. There is no way to have a decent or automatic user segmentation without having to contact support. You can't have two or more list with different user without setting information for the whole account. You'd need more than one account to keep them entirely separate. Also, and this is ridiculous, if you start an automation you need to ask the support to not send it to the active users. This should be an option in the dashboard. If you want to set-and-use, just to send emails, go for it. The interface is awesome and intuitive, the price is amazing. If you are starting now this is the thing for you. I truly believe it has a WHOLE LOT of potential, but they need to add more features that the competitors have like segmentation and better automation, choose something else. It allowed me to import my users from MailChimp and start sending emails in less than one hour. There were no requirements or tickets that needed to be opened to get me started. "This better mail manager is not free"
For email blasts or blog posts MM offers better formatting options, and a better editor than MailChimp. Also, and quite importantly, MM enables me to edit what I create after it's been sent. This is important because inevitably I find typo's that need fixing. These need to be fixed, even though the piece has gone out, because blog pieces are kept as an important part of the archive and frequently referenced in future conversations. Astoundingly, Mailchimp cannot do this! MM's "free" version is so limited that it is little more than a trial. It only supports mail lists of 100 names. Also, I found MM would not provide storage for more than 20 graphic images for all the postings. This means I would have to basically delete old postings in order to import the graphics for new postings. This is not such a tight limit, or perhaps any limit, in the paid version of MM. However, the paid version is sufficiently more expensive that I abandoned the platform entirely and transitioned to MailChimp, the poorer alternative. Subscription price is important. Mailchimp's free version powerful even for business use, MM's free version is not usable for business. MM support all my blogging and email blasts. These are the core of my marketing. I can basically support them just as well with Mailchimp at no cost, except greater inconvenience to me. Should my income raise appreciably I would consider returning to MM. The ease of use and professional look! I love how it is easy to send out newsletters to families in our school and its amazing that you can see which links people click on and track how many people are engaged. Some of the formatting can be difficult- it was hard to figure out how to move pictures around or rotate them. But in general it's great! This is a great way to connect with people and send out information. Formatting is relatively easy to figure out and use! Helps us connect with parents in the school and communicate weekly updates. It is a great way to keep parents updated! "Quick and simple batch emailing"
It is a simple and intuitive online tool. Mad Mimi allows users to quickly and easily create, modify and send out important email communications. Every feature Mad Mimi offers is excellent. However, they do limit the amount of emails that you can schedule to send out. This is a wonderful tool to get the word out about important happenings and events in your business or organization. Like anything, it takes some getting used to, but it is easy to learn. Currently, I work for a church (non-profit) where communication has historically been rather poor. We have been using Mad Mimi to not only increase communication, but also reinforce important events that we want people in our congregation and community to be aware of. "Great way to reach clients and patrons alike "
i like that with Mad Mimi as a company , i have the ability to reach our entire mailing list at one time, additionally the ability to create aesthetically pleasing correspondences has proven to have a positive impact on our company. one of the only things i was not fond of with Mad Mimi was the lack of accuracy with the analytics , in terms of deliveries, views etc. Definitely research other platforms to figure out what work best for you needs. "Easy to use email software"
it's easy to use for the most part and still looks professional. i like how easy the links are to insert and the pictures, etc. updating my contacts (this is not not easy for me) - it would be easier if I could just connect my email account to the system, but transferring them in bulk is not that easy. Easy to use for non-computer people. Not so great if you really want to customize something - but MM is professional looking and easy to use so it works for me! "Mad Mimi is the best email providerI know"
Ease of use. great interface with great email results. Perfect to keep contacts organized. Super customer support. Easy to use templates. They let you know every step of the way, what is going on, like where your upload is. Love the way you can see exactly where to improve your email mailing with their good description as to how the emails were received. Every time I had a question the guys were super helpful and immediately on the job. Nothing at all. Can't be improved upon. I like everything about Mad Mimi. They have the fastest service with knowledgeable helpers. If you start your business the staff of Mad Mimi is the best to show you how to best write your emails, help you what to do to get the emails there, how to do email drip campaigns . All aroung great experience! I have multifaceted customers to reach. Mad Mimi makes it easy for me to stay in touch with various customer's needs. When I started with Mad Mimi I was new to email marketing and they were very patient with me, unlike Mail Chimp, who lets me wait around to answer my questions. I could integrate my website with their plugin and that saved so much time. I love the graphics and picture interface. Dragging the the pictures makes the interface easy. I wish they had the video interface so I wouldn't have to add the picture & hyperlink it. The program no longer offers for you to dismiss people from your list. It does it "automatically" yet it is difficult to delete people. I am solving my advertising & pitching problem with PR. I have realized the emailing of details such as updates for clients, new events and pitches to media help grow my database. "I love Mad Mimi because it is so easy to use!" I love how easy Mad Mimi is to use. I tried other email systems before and they were so complicated! I can easily create great looking emails and I have been getting such positive feedback from the people on my email list. My orders from inactive clients went up dramatically when I started using Mad Mimi! I wish the emails sent through Mad Mimi showed up in my email or CRM. I have to make a specific note of the emails I have sent but it would be great if it synced with my CRM. It's worth it to get the paid subscription to upload more pictures. I was trying to find a way to connect with prospects and clients and networking contacts. I created a weekly email with links to usable info and people have loved it! I was also able to create email templates for prospective clients and an email series for brand new clients that I use over and over. I love being able to schedule the emails ahead of time. Mad Mimi is very user friendly, easy to upload images and create a professional presentation. It's easy to use. Easy to upload contacts and assign them to a specific list. audience lists do not categorize well. If you delete a participant, they are deleted from a list, but not the system. Doesn't support embedding video. 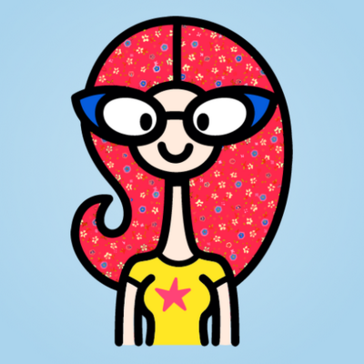 "Great Email Marketing Service App"
Mad Mimi is a real piece of happiness. It enables you to keep a close eye on your email as it's an email marketing service. You can even track your email campaign in a simple way that helps you to enhance your productivity either for personal or professional emails. A/B testing is missing here for measuring which campaign would be the best for my expected audience. No free plan for a campaign above 100 contacts. The price is not bad, but it could be a lack for business if you're a usual user. I definitely recommend it. However, it doesn't provide you with all the best functionalities, but if you like the easy way, it's the right software for your needs. I can easily communicate with all my clients, even leads and reach them out at once! So user-friendly and simple to use. "Mad Mimi is very easy to use, drag n' drop"
I like how I can create the emails for my clients and then teach them quickly how to do their own emails with some minor changes. It's easy to learn and the emails always look great. The only thing I would say that I dislike is that the open rate for emails on Mad Mimi seems to be smaller then when I use Mailchimp or Vertical Horizon. Not sure why that is, but I have noticed it. If you want something easy to use and that looks great, try out Mad Mimi! I haven't had any business problems with it. The price is very competitive against some of the other email programs. I use Mad Mimi for about 5 of my clients now, it's usually between Mailchimp and Mad Mimi. It was so straightforward and intuitive to use. You just have to be extra careful (as you would with any tool) to make sure the codes are uploaded correctly. For example, if you are hoping to pull a first name or last name... TEST, TEST, and RE-TEST. If you need a tool to send out e-blast campaigns, that is super intuitive and allows for lots of customizing in your emails... Mad Mimi was great! Email campaigns, Customer updates, etc. Ease of use, cloning/reusing of previous campaigns, data about the results. Outreach efforts, of course. But as subscribing/unsubscribing is in their hands, it freed a lot of time compared to the old days when this was all done manually. "Great customer service, cost 4 value spot on"
Excellent customer service. Responsive, fast and walk me through some TSTL with a 'smile'. Their templates are pretty, and easy to use with ad rag and drop interface. Their segmentation capabilities need improving. Not nearly as sophisticated at Mailchimp. I need to be able to split my lists up into subgroups completely and it took a bit of time to figure out the workaround. Easiest email marketing software around! We create multiple unique campaigns that can be highly personalized with just a few clicks? Stunning graphics, intuitive tools and an extraordinary tech support team who also have great marketing skills too! 100% satisfied with what they offer. But we are always ready for ever more features. Keep offering super creative ideas as they listen! Personalization of multiple unique campaigns. "An easy to use, friendly service to distribute emails." The best thing about Mad Mimi is definitely the editor. The creators of this product looked closely at how people like to read emails, and so the editor allows you to create email marketing that is easy to scan, read and understand. That's important because some people decide to be really tricky and fancy and make unreadable emails that don't convert. Mad Mimi steers you in the right direction. The audience membership management can be more intuitive. Some customers have complained that the statistics don't update in real time and are possible not accurate. I have never found that to be the case. Editing members and managing attributes of a member can be made easier. It would be nice to have separate attribute lists for sets of lists and have folders for lists. The composer can also make it a bit easier to insert variable fields without having to remember the [ ] notation. Note that Mad Mimi was recently acquired by GoDaddy so there may be long-term changes in the product. For now, they are independent as ever. If you need a simple to use tool with amazing support, Mad Mimi is it. We are helping our customers market their products via email. The biggest benefits we have derived is measuring what sort of content converts well and what does not. We have also seen some campaigns do amazingly well and some not so well, and that pretty much has to do with the quality of the mailing list. Easy to navigate as well as easy to get used to overall. The design is appealing and it doesn’t usually give me any issues with my email lists. Will not allow usage of emojis in subject lines. What I like best about Mad Mimi is the fact that their software is easy to understand/use. I have been using Mad Mimi for two years and I honestly have no complaints or "dislikes" about this software. Mad Mimi's software is easy to use and plans are affordable. I highly recommend Mad Mimi for your email marketing needs. Mad Mimi is beneficial because it allows me to connect with clients all over the world through its email marketing service. "Mad Mimi is the easiest email marketing software"
The drag and drop feature is great. I also love the ease of use. That they stopped their referral program. If you are looking for a basic and easy email marketing software Mad Mimi is the easiest to use. I use Mad Mimi to send out emails to my customers and potential customers. It can be for a promotion I am running or a holiday card. Either way I can reach my customers in a quick and effecient manner. This is not a complicated email service. Sometimes I wish it had more variety or options in customizing your emails. I hope that in the future Madmimi develops the capability to have more customization such as tracking more detailed data like birthdays, anniversaries, etc and enable us to send out more personalized blasts based on this info. We're utilizing this as a marketing tool and keep in touch with our customers. Simple to use. Can quickly put together an email campaign. No choice of different fonts/font sizes to make emails more interesting. Not mobile friendly from a creation stand point. If you're looking for a simple way to create an email campaign Mad Mimi is it. Easy access to various mailing lists for different events/promotions. I test drove several email services before deciding to go with Mad Mimi. They provide enough features to send a good looking email campaign, with a very intuitive interface. There aren't a bunch of bells and whistles, and you don't need to earn a Phd. before you can send your first campaign. It's very simple, easy to understand, and provides just what is required. Want more tools? They can be switched on, as needed, keeping your dashboard uncluttered with things you don't need. There are a few formatting limitations when composing emails. Other than that, I've never felt as though I wanted or needed more than is offered. The price is right, the features are just what you need, and the support is always fast and cheerful. I love Mad Mimi! I switched my existing followers from a Yahoo Group, which I'd used for sending weekly email newsletters. I wanted something that would make the transition easy for my readers, and make the clearing out of old, dead addresses easy for me. Mad Mimi makes it easy to keep track of which emails are bouncing, and which list members aren't opening their emails anymore. That keeps my list clean, and focused on people who are really interested in what I'm sending. Bonus: the price is really, really reasonable. "Overall Good product, difficult to setup automation"
I thought that Mad Mimi was a good product design wise. The templates were slick and easy to use. I found that marketing automation and drip campaigns were a bit difficult to setup, and there wasn't a clear explanation of what was available in the free vs paid version. "Has all the tools I need for easy and efficient email marketing"
My small business is a Bed & Breakfast and I am busy 24/7/365 so to have a product like Mad Mimi that allows me to quickly compose and send great looking email newsletters. I appreciate how easy Mad Mimi has made it to get started and keep going, with user-friendly setup, integration with my social media accounts, and easy to figure out tools and feedback. Also, their customer service people are timely in responding, very helpful, and genuinely nice. I use the product at the no-cost level, but I would happily pay a reasonable monthly fee for what I currently do with Mad Mimi. I would like to be able to sort my email list alphabetically by name or email. I do not see a way to do that. I am now able to effectively communicate with all of my past customers at once, and have an easy method to share out content to my social media networks. If I had known it was this easy to do an email newsletter, I would have started much sooner. "Mad Mimi has transformed our e-mail marketing." Stylish templates that work across devices. Excellent mailing list management that supports targeted mailings. Amazing support. We don't need support much, but when we do, it is prompt and efficient. I sometimes wish I could customize the e-mail templates a bit more. We needed to increase automation of our e-mail list system and update the look of our e-mail newsletter. Mad Mimi allowed us to do both of those easily. It has greatly enhanced our communication with our customers. "Easy and cost effective for a small business"
I was looking for a cost effective solution to email marketing. I looked at so many that I stop counting. MadMimi was easy, had a easy path to upgrade when I grew. The only item I wish I had was personalization. I would ike to merge name and company name fields. "Simple, Clean, Professional, and Fantastic Emails"
Love adding users to a list automatically if they click a specific link. Also, newsletters are clean, super-easy to create and the Add-Things menu is fantastic. You cannot add HTML to newsletters or embed your referral banner. If you are seeking an easy-to-use Email Marketing solution, Mad Mimi is perfect. I am able to send notifications to subscribers based on specific activities. The benefit so far is sending subscribers emails in relation to links clicked on. Mad Mimi has a great feature set that would be appropriate for users of all skill levels. Pricing is the best I could find anywhere. The other service I used had a better assortment of pre-made templates in html. This is a great bulk email solution that won't require a lot of babysitting by your IT staff. Great, accessible email campaigns, easy to compose and send. Easy to manage recipient lists. "great interface and customer service"
Mad Mimi offers a colourful and simple interface with easy to understand ptions that are relevant to the user's needs. There are limitations on variety of fonts available, which can me circumvented by using images as title. Mad Mimi is a great tool to stay in contact with existing clients and informing your prospects of your new products. The tool allows to create professional standard newsletters which results in very low spam/un-subscribe rates. The ability to create emails and send them to whoever I would like too targeting the right audience. I feel that there could be more possibilities of customizing. "MadMimi is easy to use, has great features, is inexpensive and has outstanding customer support"
I like the level of features they offer - easy segmenting of lists, easy creation of multiple webforms, autoresponders. Email is essential to my online business and I've used MadMimi's service to connect with my subscribers and sell my products. It's fun, easy to use, creative and the analytics are terrific. Help desk is responsive and I like the way the site has a happy feel. "Excellent easy to use product"
Its very user friendly and help is always on hand should I need it. when its having a moment which I think might be because of me!! didn't have any stats before now I have...Great!! * We monitor all Mad Mimi reviews to prevent fraudulent reviews and keep review quality high. We do not post reviews by company employees or direct competitors. Validated reviews require the user to submit a screenshot of the product containing their user ID, in order to verify a user is an actual user of the product. Hi there! Are you looking to implement a solution like Mad Mimi?